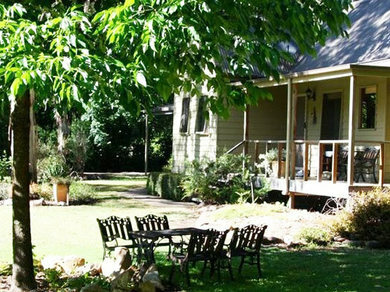 Shady Brook Cottage is located just off the Great Alpine Road at Harrietville in Victoria's alpine high country at the base of Mt Hotham and Mt Feathertop. 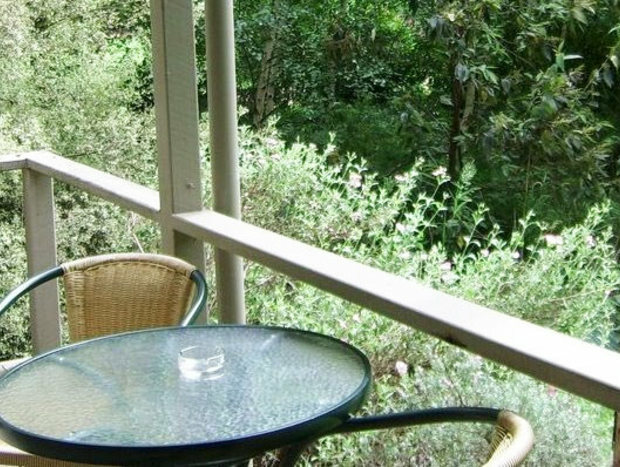 The cottage is set on 12 acres of secluded bush and landscaped gardens on the Ovens River. Cancellation Policy: Receive a 50% refund (minus service fee) up until 2 weeks prior to check-in. The cottages are only 30 metres from the river and are very secluded, with private bush tracks immediately at rear of the cottages climbing the mountain behind you through garden then into native bush to old gold diggings. Capture the views as you go of the property, Harrietville and in winter the snow capped peaks of Feathertop. This is a truly unique destination offering such variety with each changing season. The cottage setting captures the aura of the high country with wide verandas, views of endless snow gum bush and an outside living area at the foot of surrounding hills. The deck is perfect for dinning in nature with your own private barbeque and dinning area. The map shows the listing location and awesome adventures nearby. Here are some details about the adventures nearby. Refer to the map for their location. Starting from Howitt Park head towards the Star Road Bridge. The track on the northern bank of the Ovens River has steep steps. Cross either of the suspension bridges to create a short or long loop. 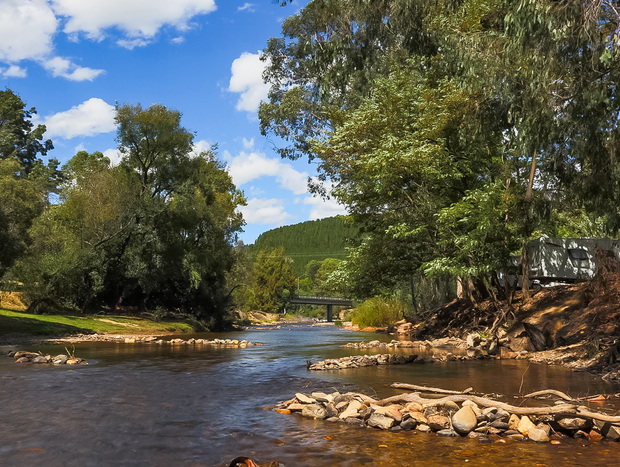 This walk takes you past a small canyon carved by the Ovens River and water races dug by early miners. Watch for birdlife and wild flowers especially in spring. Don’t miss out on our latest adventures!